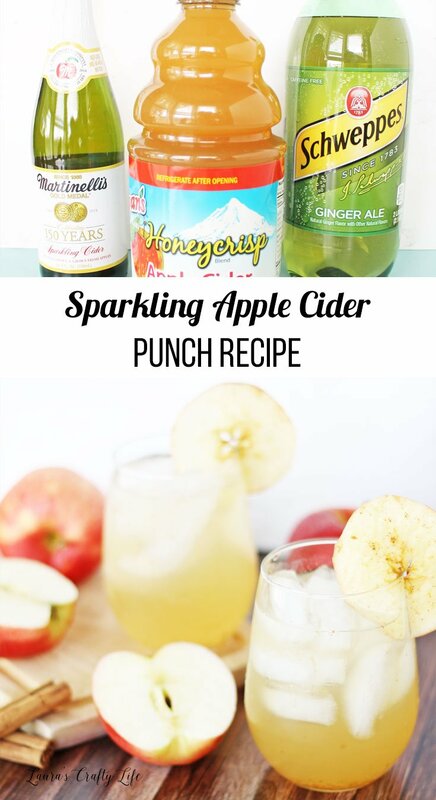 Sparkling Apple Cider Punch. 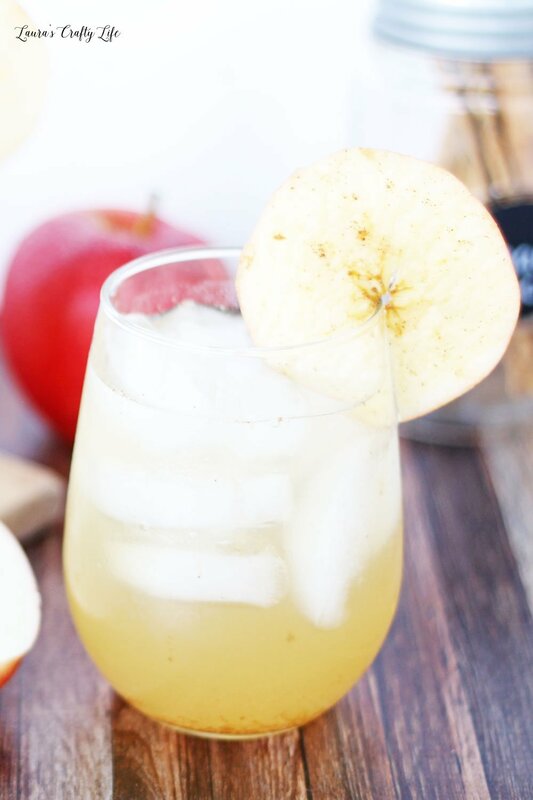 This sparkling apple cider punch is the perfect fall punch to serve at your next fall celebration, Halloween party, or Thanksgiving dinner! I have my go-to party punch recipe that I use for the kid’s birthday parties and our summer get-togethers. However, we often have a Halloween party and we always host Thanksgiving and I wanted to come up with a drink recipe we could serve in the fall. Normally, for Thanksgiving, we serve sparkling cider. And for Halloween, we carve pumpkins, roast pumpkin seeds, and drink hot apple cider. I thought it would be delicious to combine the sparkling apple cider and regular cider together. This punch is easy to make and perfect for a smaller gathering like Thanksgiving, or you can double it and make it for a big Halloween party or fall celebration. 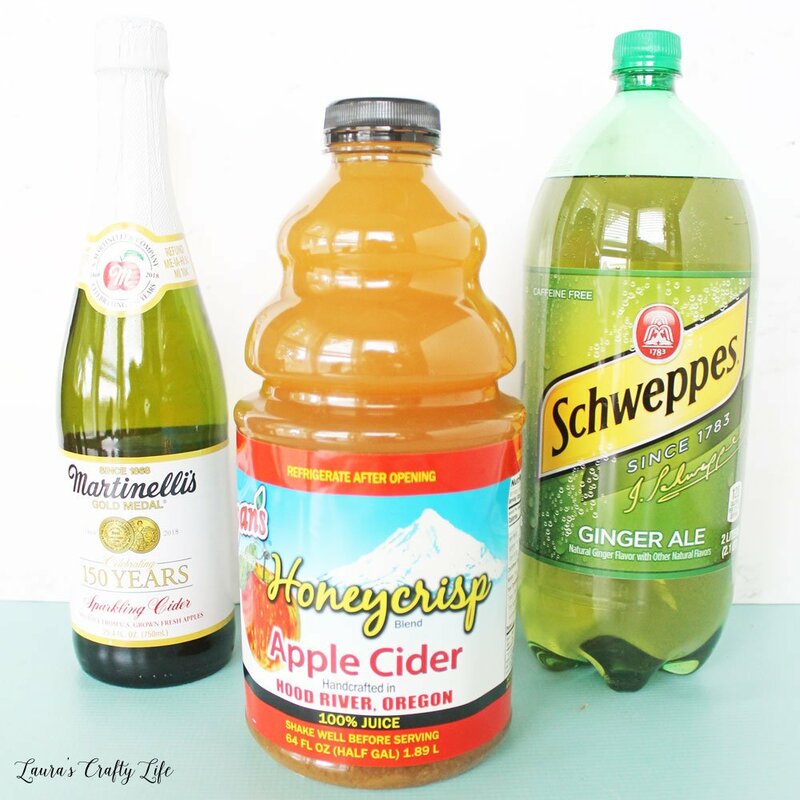 Simply stir together apple cider, sparkling apple cider, ginger ale, and a little bit of cinnamon in a large drink dispenser or punch bowl. Serve it over ice and garnish with apple slices and cinnamon sticks. 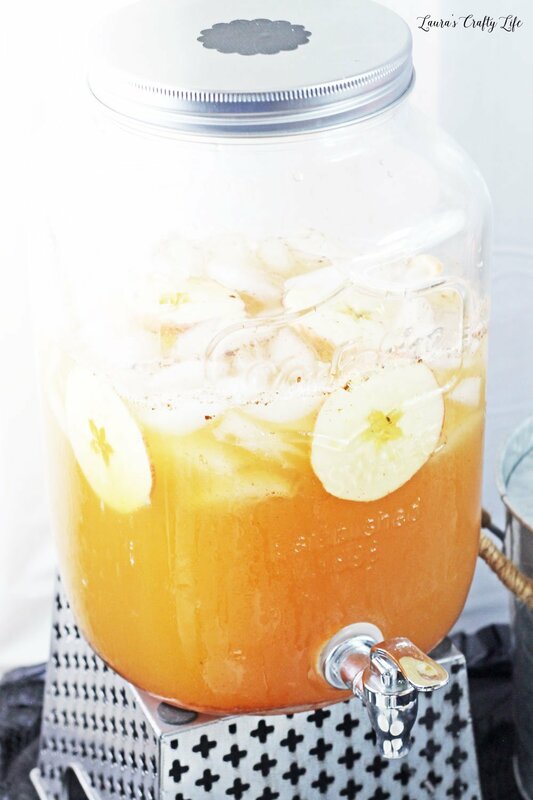 This punch would be delicious with ginger beer in place of the ginger ale, for a little extra kick of spice. And you can easily add caramel or apple flavored vodka to make it an adult beverage. 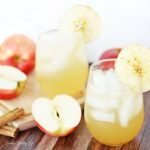 This sparkling apple cider punch is the perfect fall punch to serve at your next fall or Halloween celebration or even Thanksgiving dinner! Place all ingredients in a large pitcher or punch bowl. 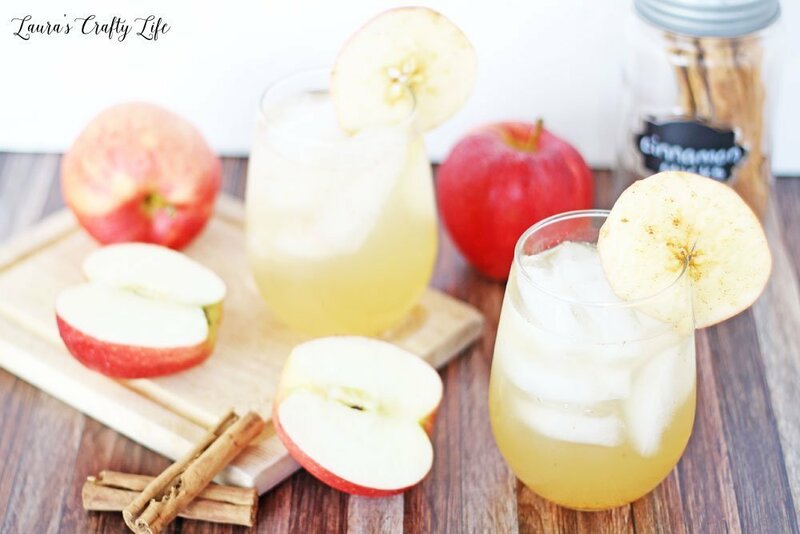 Serve over ice and garnish with apple slices and cinnamon sticks. Add ginger beer instead of ginger ale, for an extra kick of spice. This drink also pairs well with caramel or apple flavored vodka for an adult drink.